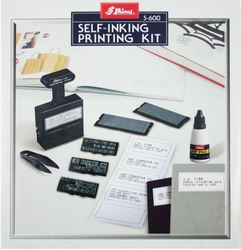 Offering you a complete choice of products which include shiny s-61 stamp ink, shiny s-63 stamp pad ink, shiny s-883 self inking printing kit, shiny s-100 printing kit, shiny s-200 stamp printing kit and shiny s-600 self inking printing kit. 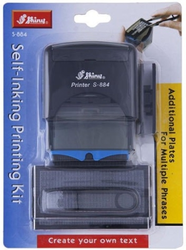 Gained prominence in the industry as a we are engaged in offering Shiny S-61 Stamp Ink. To attain highest benchmarks of quality, we make use of optimum-grade materials in the manufacturing process that is obtained from trusted vendors of the industry. 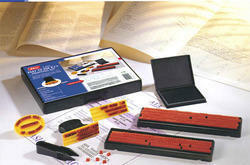 Additionally, our offered stamper can be customized as per the demands of clients. 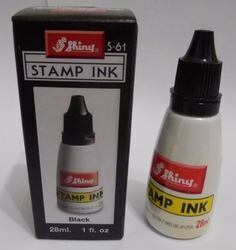 Started our business operations as a supplier, we are engaged in offering Shiny S-63 Stamp Pad Ink. 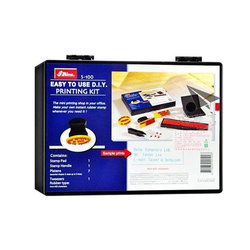 Catering to the demands of customers as a supplier, we are engaged in offering Shiny Printing Kit. 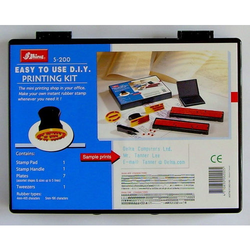 Apart from this, these kits can be used on plastic, metal, cloth, paper and aluminum. 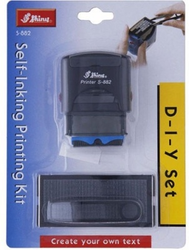 We are offering Shiny S-884 Self Inking Printing Kit.